Provides Higher Internal Foam Strength. 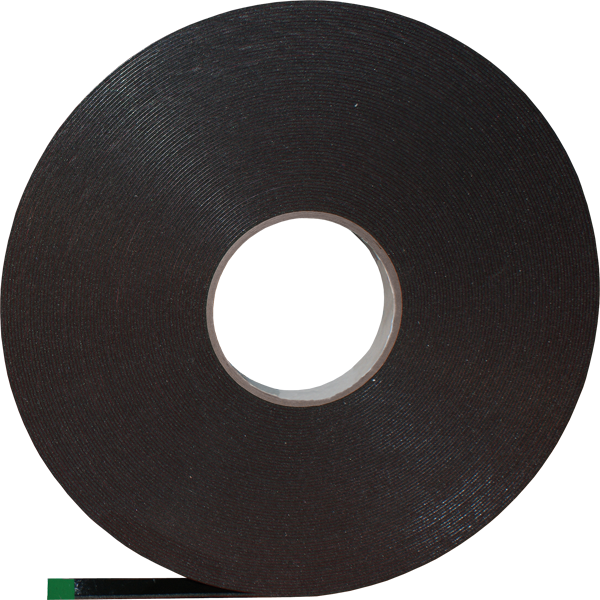 Higher density black polyethylene foam carrier provides increased foam integrity and better internal strength than traditional PE foam tapes. Foam is less likely to split under heavy demand applications. These tapes also are coated with a high shear solvent based acrylic adhesive more suited for applications where dynamic stress occurs such as in automotive trim attachment, mounting of soap dispensers, etc. The poly film release liners are easier to remove and cannot tear like paper liners and thus are great for narrow width requirements. Adheres well and provides long-term bonding of various substrates such as glass, metals, papers, and films and some low energy plastics and painted/powder coated metals. Available in 1/32″ (32 mil) with green poly liner and 3/64″(45 mil) with red poly liner.